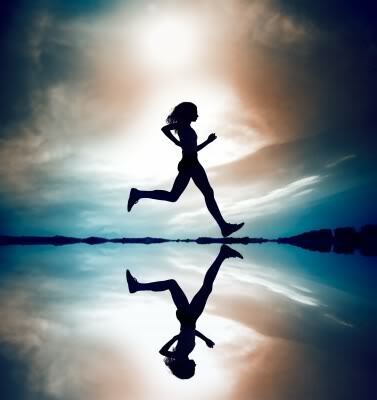 Running Can Help You Live Longer? I read that running can help you live longer. That is great news just as long as…..
you don’t run out of options…..
you aren’t running from the law…. you don’t run out of hope…. you aren’t running for cover…. you don’t run out of money…. you aren’t running from your problems…. you don’t run out of energy…. you aren’t running on empty…. you don’t run out of excitement…. you aren’t running in circles…. But instead, you are running for all the right reasons. The mind is a beautiful thing, and the mind certainly plays tricks on our psyche. When we hear things like, “I got so bombed last night” we instantly conjure up images that are congruent with the statement. Our perception becomes reality, although the reality may be far different than the perception. Add to that the word “confession”, and we go even deeper into our psyche and our imagination soars even higher. What makes life so interesting is the manner in which we all view each and every day through our own periscope of where we may be standing at any given time. 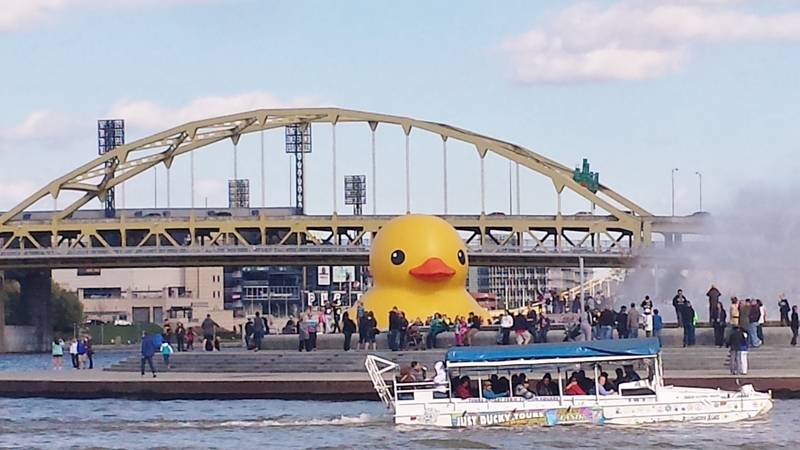 Dating back to last week during my trip to Pittsburgh, there in the water was the waddling less giant duck. I wondered exactly what the duck was all the intrigue about, because not only were there a mob of bystanders in the park standing to take a picture of the big rubber duck, but it was game day no less. Seemed a little quacky to me, but then again, that is my periscope of how I view the world. I have many, many years ago experienced a rather smaller version of this rubber duck, and really I had my fill. It was quite fun while it lasted. Granted, the water mine floated in was a much smaller one, but then again, it was my duck and it was my tub. Fast forward a decade or so, and rub a dub dub there is a great big duck floating in a great big tub. This time the river is the confines and for whatever reason this duck was one of the biggest tickets in town. So not only may it be whatever floats your boat, but also whatever floats your duck. Just remember though, when someone yells DUCK in Pittsburgh there is no reason to run for cover. Simply grab your camera and with some good luck you’ll get an up close and personal with whatever the duck people are clamoring to see, but then again it’s all just ducky. What isn’t so ducky is getting bombed last night. That, or I’m in for some really great fortune. Is that not the case when a bird does a drive by on your shoulder, that good luck is on its way? Well, just ducky. Because while not my shoulder, my roof and my driveway appears to have drawn the ire of the entire flock as the red tiles are now so decoratively adorned in white streaks splattered about in a rather non geometric pattern. Maybe it was my mocking of the duck that did me in? A duck is a bird, right? Well, close enough anyway. One thing is quite certain though. I really did get so bombed last night. And, I have the tiles to prove it.